Two races to go in 2016 and it is Rosberg’s title to win or lose as we head to Brazil and the fabulous Interlagos circuit. It is now clear that the time for tips and tricks in your own Fantasy GP title battle should be over; you either stick with what you have or go for broke and the title victory (or a well earned upper-hand and eighth-place over your know-it-all neighbour)! Esteban Ocon/Rio Haryanto (£3m – 135 total fantasy points) – A second lowest points haul for the Manor combination is partially offset by their current sixth-place in value per million spent. However, whilst Ocon has arguably bridged the gap somewhat to Wehrlein, they ultimately have trailed their colleague by 16 points per million spent and at the same cost. Felipe Nasr (£4m – 199 points) – Top dog in 2015 but it has been a mixed season for the Brazilian in this campaign as he trails his Swedish team-mate by 30 fantasy points and by 7.5 points per million spent. Nasr appears likely to remain at Sauber next year but he’ll be praying for a car, and performances, to match early his 2015 form. Marcus Ericsson (£4m – 229 points) – I’ve already laid out much of the Swede’s achievements above and he could yet steal Wehrlein’s “best value” title despite costing £1m more. In fantasy terms, a top performance in a struggling team. This grade could be revised upwards post-Abu Dhabi and Ericsson remains a surprisingly non-popular choice for players. Esteban Gutierrez (£3m – 100 points) – Lowest points haul of any driver this year, a lowly ninth in the value stakes, almost a third less valuable that his £2m more expensive colleague. A Fantasy GP nightmare. Has somehow become more popular during the campaign. You are a strange bunch. Pascal Wehrlein (£3m – 183 points) – Sitting pretty to take Nasr’s title of the best value driver from 2015, Wehrlein has consistently delivered across the campaign. Actually, it is only some superb qualifying runs that have held back even more bonus points. He may have worries about his own 2017 future but I can’t go anything other than a top grade for the German. Jolyon Palmer (£4m – 208 points) – I had a preconception of how I would grade Palmer and I admit I was wrong. A miserable year on-track in a miserable car but, despite this, the Brit’s low price tag coupled with a great bonus points haul of 162 leaves him the third-most valuable driver in F1 this season. Maybe Renault aren’t mad in keeping him, or is this racing’s equivalent to Football Manage syndrome? Madly, he has gone unnoticed by Fantasy GP players! Kevin Magnussen (£6m – 246 points) – 7 world championship points, 7th most-valuable driver, I think I’m bored already. Hamstrung by his cost in the fantasy world and will hope for a more influential role next year at Haas. Jenson Button (£10m – 175 points) – I’ve been writing these pieces for the last two years and I’ve never really been able to say something positive about a driver that I’d followed for so many years and has been such an important part of my own Formula 1 experience. Fantasy F1 is just a game, after all. Thanks for the memories, Jenson. Other Tips – If Nico Rosberg can repeat his 2015 victory this weekend then he is guaranteed to be lifting his maiden world title on Sunday. 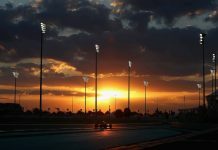 It would be a surprise to see anything other than reliability or mistakes preventing another 1-2 for the Mercedes outfit, but Red Bull will be expecting to feature in the podium places – albeit not in such dramatic circumstances as last week – after a dismal showing last year. Can Felipe Massa deliver a romantic finish in his last outing in Brazil after disqualification stole his eighth-placed finish in 2015? Weather is likely to be unpredictable with high chances of rain throughout the race weekend and my, do we need some excitement that isn’t a grown man telling officials to “**** off!”. It would be the first time rain has made an appearance on race day since 2012 and Lewis Hamilton will have fond memories of a damp 2008 track, although he still awaits his first victory at Interlagos. 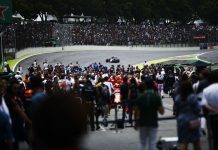 Safety cars have made an appearance in exactly half of the last ten races in Brazil but have been sparse in the last few years, Button’s wet win in 2012 being the last outing at the circuit. Unless perhaps you have a strong position to protect, my gut is saying to go bold this weekend across the board on the predictions as I believe that rain will be a factor – ignore this at your peril or if you are one of the 175 that are officially better than I am this year!